There is a legend telling about a city’s origin. “Nokis” – the name of the tribe which lodged in these regions is connected with the number “nine” – so many women were banished here in times of Khorezm-shah and deprived of the right to marry. But women had violated the ban and gave rise to a new genus. Thus appeared the first settlement, whose history can be found in the museum of Karakalpakstan, among the exhibits of which can be found the models of ancient cities – Toprak-Kala, Koykrylgan-Kala, household items, tools, and even the real Karakalpak yurt. 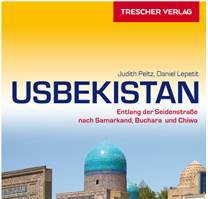 Karakalpakstan was the homeland of the world-renowned poets and scientists Ajiniyaz and Berdakh, al-Biruni and al-Khwarizmi, Najmiddin Kubro, as well as incredible and unique applied arts. The masterpieces of carpet weaving, embroidery, applique, marquetry reveal the skill and delicate taste of Karakalpak craftsmen. In addition to unique archaeological sites Shylpyk (Zoroastrian Dakhma) and the ancient necropolis of Mizdahkan located in the vicinity of the city, Nukus is famous for a unique Museum of arts named after I. C. Savitsky. According to experts, the collection of the State Museum is the best art collections in the Asian region and the 2nd most important collection of works of Russian avant-garde in the world.